Northern Heavy Industries Group Co., Ltd., was founded in 2007. NHI is located in Shenyang, the center city of Chinese heavy industry and capital city of Liaoning Province. NHI consists of five large state-owned enterprises. 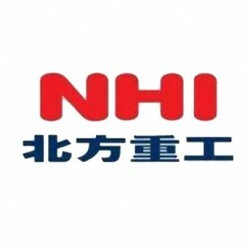 As one of the Chinese EPC companies, NHI has developed rapidly in recent years. NHI has total assets of 12.7 billion yuan. NHI has a workforce of 11000 employees, a land occupation area of 1.3 million square meters and more than 5000 sets of various processing equipment.